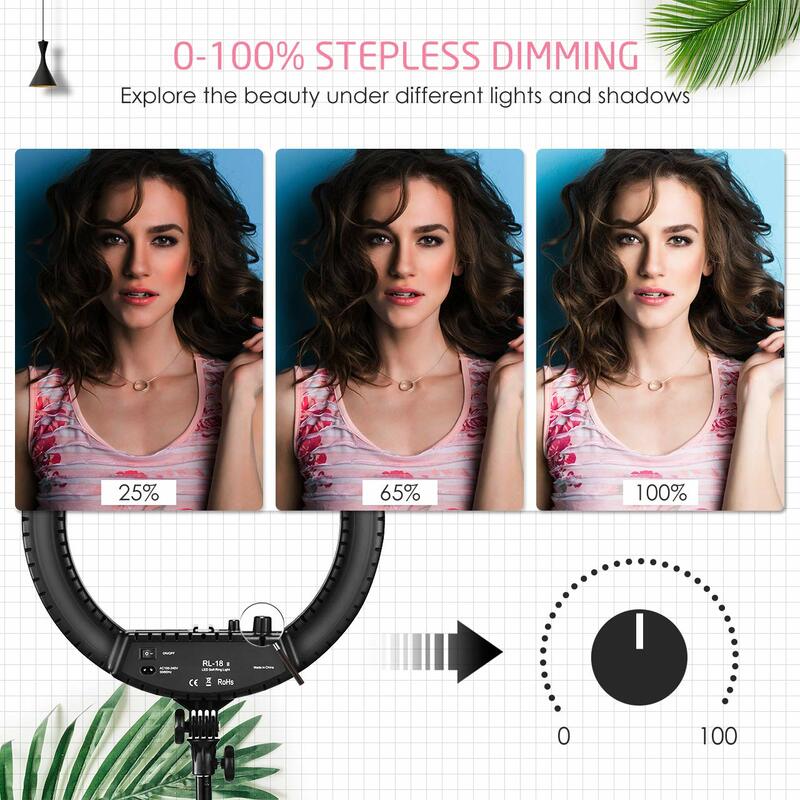 【Stepless Dimming Knobs, No Color Filter Needed】To customize for your needs of light brightness, this led selfie ring light equips with a knob to help achieve your desired lighting level between 0%-100%. Similarly, the colour temperature is also adjustable from 3200K to 5600K. 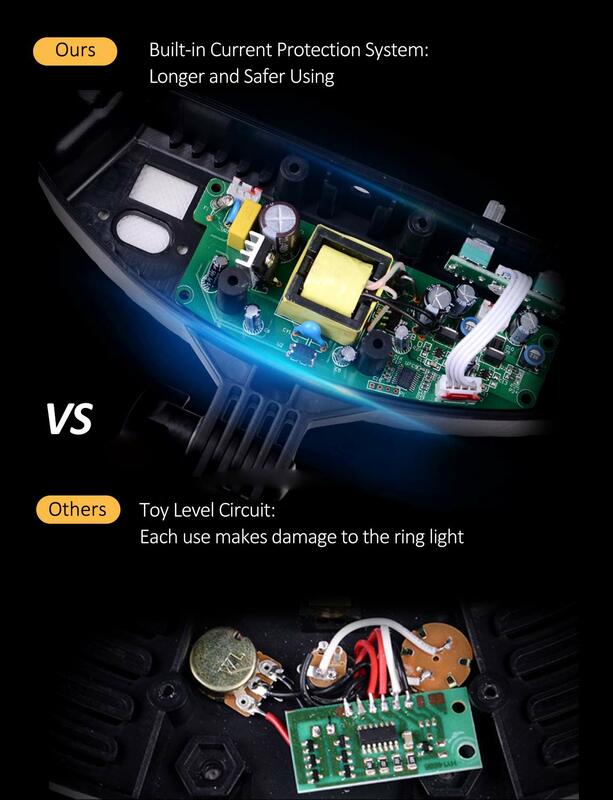 No matter you prefer warm color or cool color, you will always find what you want. 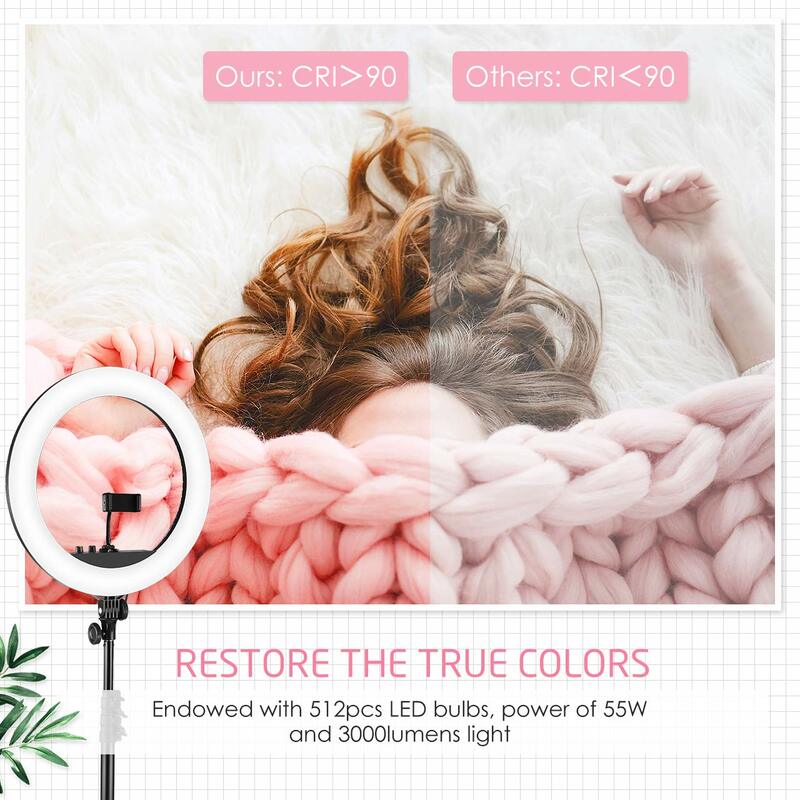 【512pcs LED Bulbs & CRI>90】 Equipped with 512pcs high quality LED beads and power of 55W, the ring light for makeup is featured with brightness of 3000ANSI lumens. Provide you with gentle and natural light continuously. The colour rendering index is up to 90, restoring the skin tone to natural colour and making the portrait more realistic and attractive. 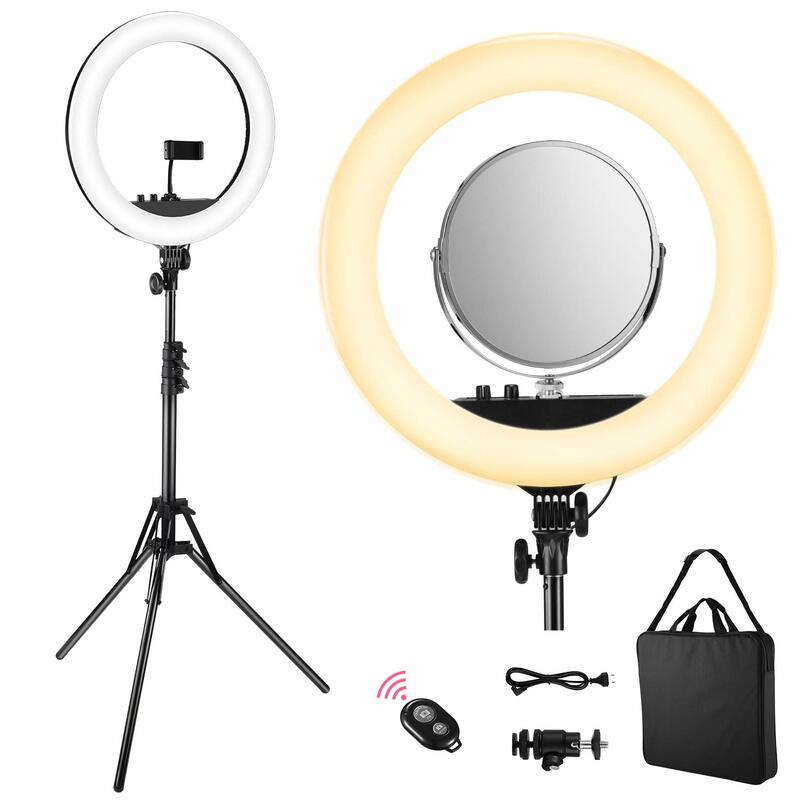 【Durable Surface Material & Tripod with Superior Quality】 The surface of this LED ring light is made of soft light PC material, which is environmental, lightweight and highly pervious to light. 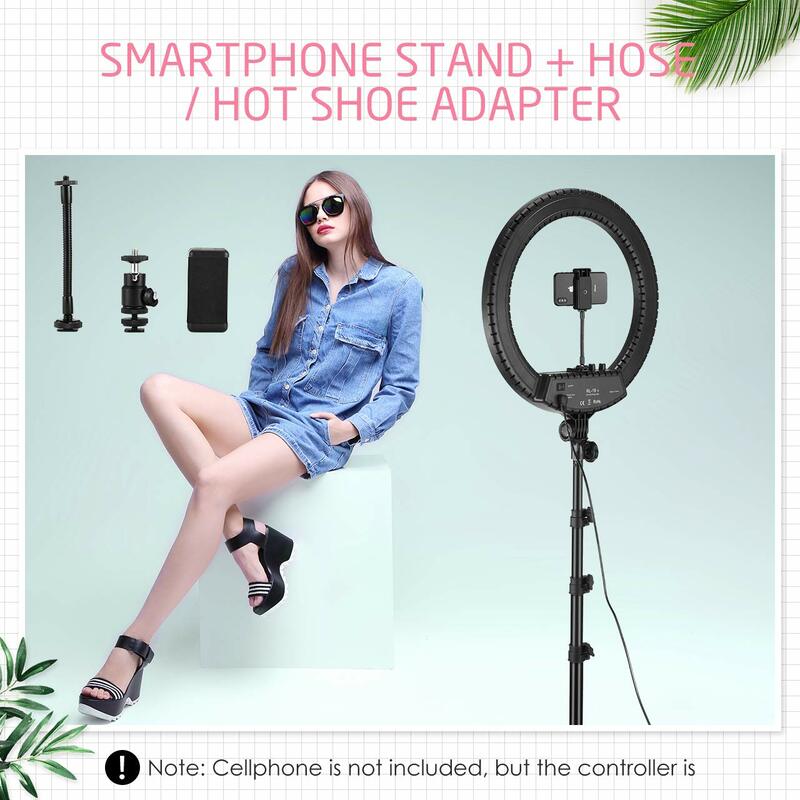 Included tripod stands out with silicone cover in the bottom to avoid scratching the wood floors. 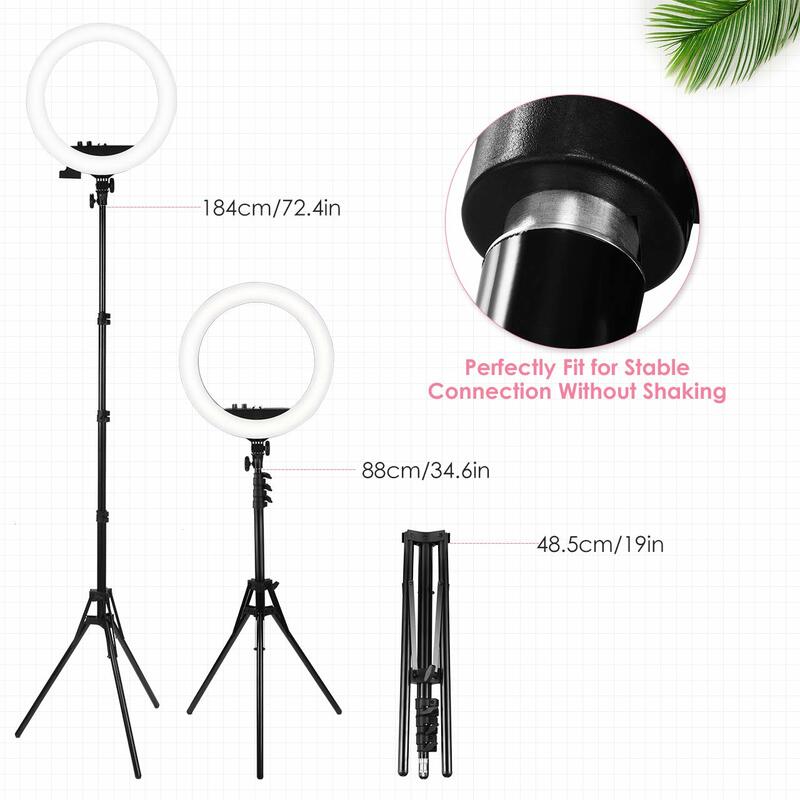 Thanks to the aluminium alloy material, the tripod is endowed with excellent strength and stability. 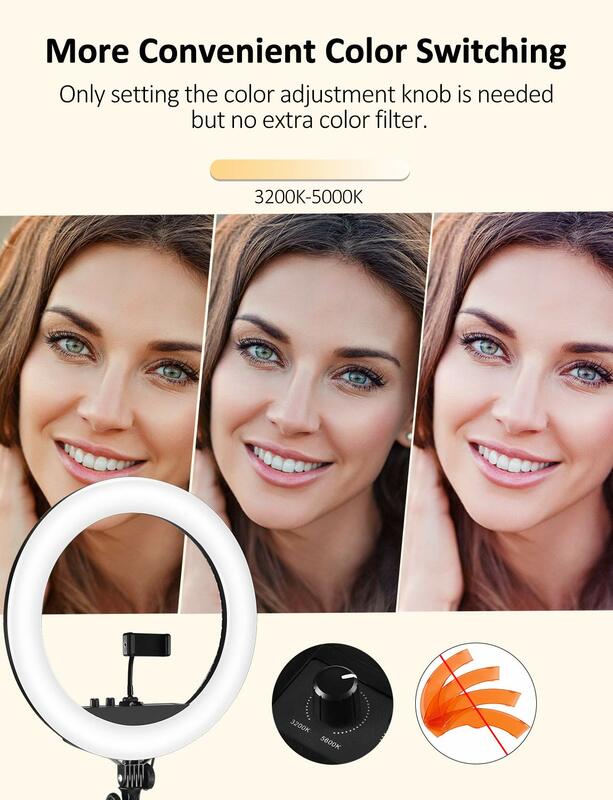 【Compatible Devices & Wide Application】The bicolor dimmable ring light is compatible with most smartphone and digital cameras. 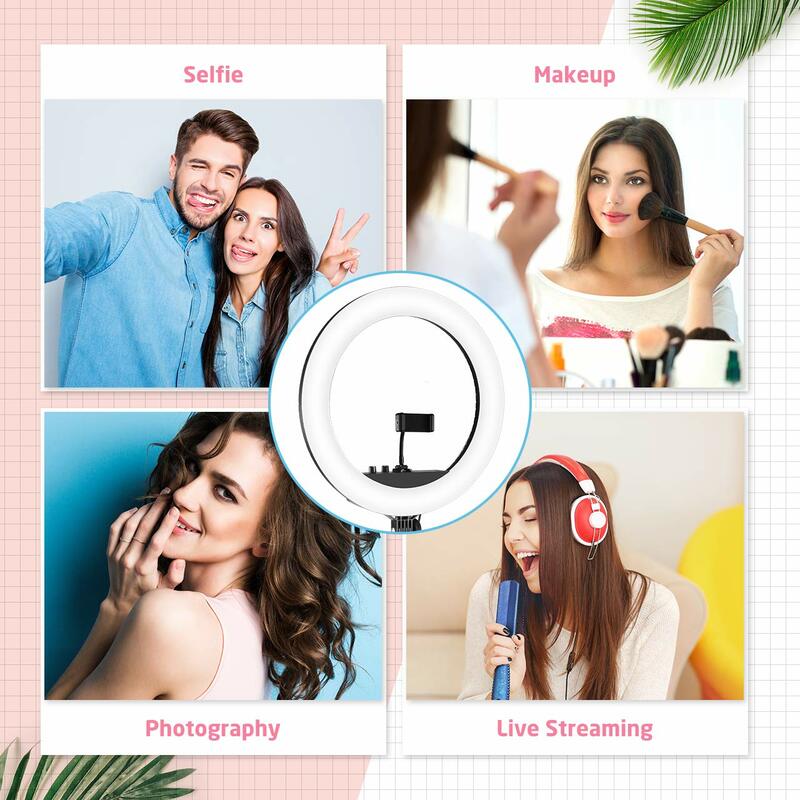 It will be a perfect assistant for professional photographers or makeup artists, video bloggers, hair stylists, selfie lovers and so on to make up, take photos or shoot a video.